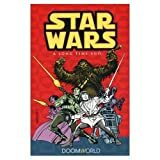 Here is an alphabetical list of books about the popular science fiction movie thriller Star Wars, that are currently available. Click on the image or title for additional information and availability (purchases are provided by Amazon.com). The list is frequently updated; so check back often. The Empire Triumphant: Race, Religion and Rebellion in the Star Wars Films by Kevin J. Wetmore Jr. This Jedi Webring is maintained by Books about Star Wars. 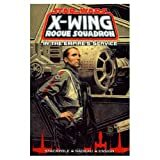 site owned by Books about Star Wars.